Inspired by an intersection and our love of spicy foods, particularly Buffalo wings, America’s number one “finger food,” the Buffalo Water Beer Company was formed in Milwaukee, Wisconsin in 2007. With a lack of beers on the market dedicated to complementing hot foods, a group of Brew City beer enthusiasts took on the challenge of producing a beer to fill the void. After several months of beer taste-testing , the Buffalo Water Beer Company finally found the perfect formula for its flagship beer, Bison Blonde. 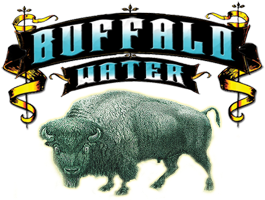 With a moderate alcohol content of 4.4% ABV, Buffalo Water’s first ever beer is an ideal match for spicy foods. Whereas higher alcohol content beers generally cause bloating, especially while eating, Bison Blonde is a lighter, golden lager that you can just keep on drinking. The Buffalo Water Beer Company takes pride in the quality ingredients of its beer. Our signature beer, Bison Blonde is brewed in accordance with the Bavarian purity law of 1516, which means it only has four ingredients: water, barley, hops and yeast. No fillers, no adjuncts, no foolin'! Coincidentally, the Buffalo Water Beer Company is now located at the intersection of Water Street and Buffalo Street in the heart of Milwaukee’s Historic Third Ward district.